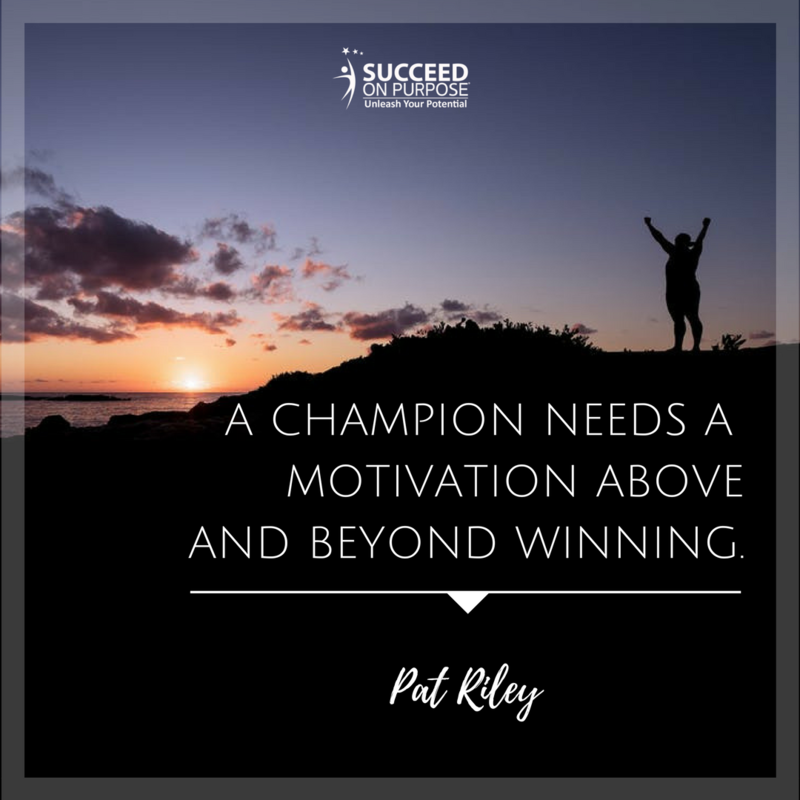 Want to achieve that champion mindset? First you must identify what barriers are holding you back. Take our "fear of" quiz now to find out! I was in a fast pitch softball playoff game in Sarasota, Florida when my father showed up drunk and proceeded to berate me in front of my teammates. At 12 years old, it was one of the most humiliating events of my life. As my family’s secret (raging alcoholism) was exposed publicly in front of my friends and their parents, I failed to get a hit at two at-bats. Crumbling under the weight of the shame, I struck out twice. That had never happened. Rage filled every pore of my being, and I had a meltdown at the end of the 4th inning. Coach Stinnett quickly pulled me aside and shook me lovingly, only to give me one of the purest lessons of my life. This is what he said: “Champions play to win. Champions don’t focus on what goes wrong. Champions use difficult circumstances to focus on winning. Champions only focus on winning. They play to win." Wow. What a powerful insight. So, from some place I can’t explain, that’s what I did; that game, that day, and forever since. I simply approach everything from the perspective of a champion. I’ve used this lesson to power through career and relationship failures. I’ve lifted myself up after being knocked down, inspired by this invisible force. I’ve taken his words of inspiration and turned them into a personal motto for life: Play to Win. Over the years, as I’ve taught this lesson to others and written about it frequently, I’ve grappled with how to capture the magical component that has truly transformed my life from poverty and abuse, to success and significance. The truth is, I’ve wrestled with how to answer that question. The Play to Win mindset has become so engrained into my psyche that it’s now an unconscious process. I just operate that way. As our team prepared to roll out Succeed On Purpose’s new Personal Development Series (Pure Confidence, Accelerating Abundance, and Success Excelerator), I became obsessed with answering the “how to” questions surrounding the Play to Win mindset. How do you think like a champion and play to win? I observed athletes in championship games, and business leaders in turn-around situations. What did they DO exactly? How did they play to win? The most obvious example is Super Bowl 2017. You may remember that the Atlanta Falcons blew a 25-point lead and allowed the New England Patriots to steal victory from them in an unbelievable display of championship mindset. After a boring and scoreless first quarter, Atlanta scored 21 unanswered points for a 21–3 halftime lead. The Falcons then increased their lead by another 7 points midway through the third quarter when QB Matt Ryan completed his second touchdown pass. The Atlanta defense basically kept New England’s super star QB, Tom Brady, from the end zone for three consecutive quarters. As an Atlanta Falcon’s supporter, and the score now at 28-3, I was elated. For fans in the stands and watching from around the world, the game looked over. No team had ever overcome a double-digit, second-half deficit to win a Super Bowl. There was simply no way even the best champion could find a way to win, right? Wrong. The Patriots methodically scored 25 unanswered points to eventually tie the game, 28–28, with 57 seconds left in the game. New England went on to win the overtime coin toss, took the ball, and magnificently drove 75 yards to win the game with a 2-yard touchdown by a relatively unknown New England running back, James White. I moved closer to the TV searching for an answer to these “how” questions. New England’s first touchdown in their comeback series was ugly. They made dozens of mistakes, but it didn’t matter how it looked. They shifted their focus to the next play. They looked FORWARD, not back. As soon as New England scored that first touchdown, with less than a minute left in the 3rd quarter, the Atlanta Falcons had an entirely different look on their faces. Even though the score was still in their favor at 28-9, their faces told a different story: they were asking the fated question, What if we fail? Through intensely observing their eyes and body language, I imagined their self-talk. Atlanta’s Quarterback, Matt Ryan, seemed to be wondering: What if we lose? What if we’re too tired? What if I can’t score another touch down? What if we fail? But champions PLAY TO WIN. They control their thoughts and ask different questions. When things go wrong they ask, How can I win? And that was never more obvious than in Super Bowl 2017. On the other side of the field, despite the odds being against them going into the 4th quarter, Tom Brady and his teammates controlled their thoughts and asked, How do we win? ‍You could see it in their eyes and in their body language. Since that fated softball game and powerful lesson when I was 12, I’ve paid attention to my thoughts when something would go wrong. I’ve noticed that I have a natural tendency to worry, and to start to doubt myself. But quickly, because I’ve trained myself to do this, I pull my shoulders back, and refocus my thoughts. I decidedly say to myself, Ok, this didn’t work out the way I wanted. Now, how do I win? Boom, shift. Pay attention to what you’re thinking at all times. Make your thoughts conscious. Remind yourself that you have 100% control over your thoughts and emotions. They don’t control you. YOU CONTROL THEM. Remind yourself that you can train yourself to shift your thoughts and emotions. It’s like a hidden muscle waiting to be activated. You just have to practice. When your thoughts drift to doubt and you worry about failing, SHIFT. Shift your thoughts by challenging every doubt. Rather than worrying about failing, ask yourself, HOW DO I WIN? Shift your mind. Focus only on the ways you can use this situation to find a way to win. Shift your eyes. Look forward. Shift your body language. Winners use their body and “state” to elevate their thoughts. Shoulders back, head up. Play to win. Play to win, folks. Train yourself to think and operate that way. It’s SO worth it. Let’s get real. If you want something better, you must be willing to do something different. And if you’re ready to start taking control of your life, here is great place to start. Succeed On Purpose and the Share On Purpose group of companies exist because I refused to quit. No matter what went wrong (and plenty did) I decided to change my thoughts to the question, How can I win! Come join me.